As the indirect travel distribution relationship changes, the topic of payments needs to be at the forefront of discussions between airlines and travel agents. When you hear about the issues that airlines have with accepting card payments today, the focus is usually on ‘cost’. However, instead of simply saying ‘no’ to card payments because of the perceptions around cost, a more holistic view must be taken to balance the discussion, acknowledging the broader value that cards bring to the travel value chain, such as risk reduction, new sales opportunities, lower agency costs and speed of settlement. These aspects will ultimately benefit both travel agents and airlines. 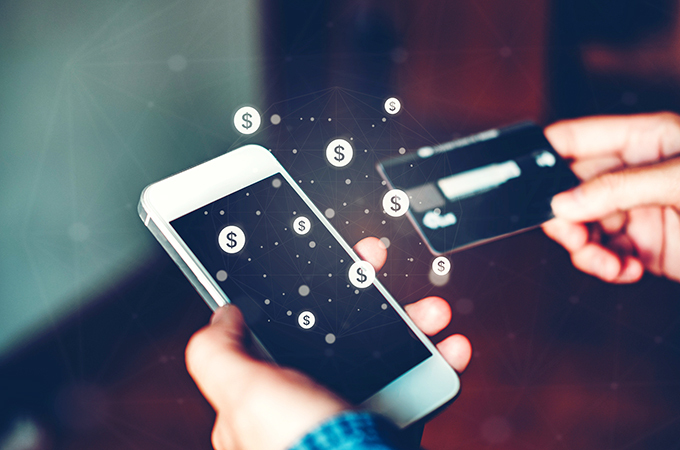 Purely focusing on a single dimension of the ‘cost’ of card payments, and in particular virtual card payments, can result in a suboptimal payment strategy. IATA’s NewGen ISS and Transparency in Payment initiatives were intended to address the changing face of payments and to reduce risk. These two factors are key if NewGen ISS is truly going to deliver for the travel value chain and the customer. For example, blanket airline payment policies, formulated with a one-dimensional view of payments, can have unintended consequences. We have already seen this happen with airlines reissuing payment policies after realising that an unbalanced approach has undesired results – ranging from lost distribution volumes and unrecovered funds from exposure, to risky markets and agents. The discussions have also only focused on a single virtual card type as being representative of all virtual cards. Rather than encouraging commercial discussions, this has inhibited them. The result is that airlines and other parts of the travel value chain are missing out on the benefits that other lower cost virtual cards offer. And, this one-dimensional approach, has meant that airlines have yet to open their minds to the ‘what if’ scenarios of the future state of payments, which could be underpinned by engaging successful payment companies in the process. It is important to remember at this point that billions of USD are settled between travel agents and other travel suppliers across a range of payment rails that offer all of the risk aspects desired by NewGen ISS, but in a modern way. So, what should we be talking about when it comes to virtual cards? What do we risk missing out on by taking a narrow view of what they offer all stakeholders in the travel value chain, including airlines? Fraud is one of the biggest risks and costs to the travel industry. Findings from IATA’s ADM Working Group found that direct fraud losses for travel agents is as high as 1.5%. So, when agents pass through customer cards, not only does the airline wear the merchant service fee for the customer card (unless they are in a market that passes on the surcharge), both the agent and the airline are exposed to customer card fraud because the existing legacy ticketing systems have not kept up pace with fraud detection. However, with virtual cards, agents act as the merchant for the customer card transaction. This enables agents to invest in fraud prevention technologies, which protects both the agent and airlines from customer card fraud. As a bonus, the airline also saves the time and cost of ADMs to recover that fraud. Another benefit of the agent acting as the merchant, is that it allows them to accept the preferred payment methods of the end traveler. In turn, airlines are able to increase the distribution of their products and services and drive new sales without having to invest in the technologies necessary to enable these methods. Default risk of travel industry players is a reality. When an agent uses a virtual card, especially ones that offer the card scheme guarantee, airlines are 100% guaranteed to receive 100% of their funds, within a matter of days. And the same goes for travel agents. They no longer have to take on the risk of forward-dated travel, thanks to chargeback protection they can draw-on should an airline fail. This aspect to NewGen ISS is a fundamental piece of the puzzle that has not been addressed. Over the past 17 years, the total value of loss from the collapse of airlines amounts to 1.5 times the GDP of Luxembourg, yet the total loss from the collapse of travel agents over the same period is more like the GDP of Bhutan. There is an added benefit in that the agent’s profile with its banking partners and investors/shareholders will be strengthened – and as a result its financial stability and industry risk coverage. Where to next? How do we get the conversation on virtual cards happening between airlines and their agents? We need to build mutual trust and develop solutions that benefit all parties in the travel value chain. We should work towards encouraging airlines to move away from aggressive blanket payment policies that have little or no regard for key commercial relationships, whether they be long standing or newly established. Next, we should engage in open discussions with key airlines, so they gain a better understanding of virtual cards and what these cards can do to strengthen commercial partnerships. Armed with this improved understanding, airlines will be in a better position to make informed decisions on virtual cards and the benefits to the entire travel value chain. And they will reduce their risk profile considerably – this is a simple fact. This is not about one side getting the one-up on the other. This is about true partnerships, working together to find the best solution to improve the commercial position of both parties. It’s time for both parties to come to the table and start a conversation on payment practices that suit the industry today, and ultimately, make it part of the broader commercial conversations that regularly take place between agents and airlines. If the airline industry is truly behind a new generation of payments, cards need to be directly in the conversation and simplicity needs to prevail rather than further heavy-handed costly compliance that serves no real purpose. Can travel go the Netflix way? You snooze, you lose. Really? Should I tip my robot butler? Your website: friend or foe? How many you’s are there? Looking after your future clients? My summer resolution? Be a SloLoTo! Here’s to a truly social ATM! Destination UAE: are we there yet? Travel in 2014? There’s an app for that! Mind the gap! Does your online user experience measure up?